Kid Cudi is his own person. 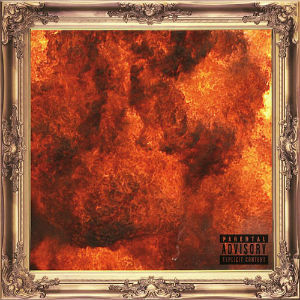 You can’t judge his third album Indicud the way you would judge other rap albums because it doesn’t feel the need to play by the same rules. Seriousness and wordplay are no part of this picture. Freshness is always a good thing though, especially when the result is something like “Red Eye”, which is essentially Haim being Haim. However, it still needs substance. His earlier songs, like the exceptional “Day ‘N’ Nite” managed to feel novel in subject matter as well, but this album doesn’t quite hold up to the same standard. This is, all told, an enjoyable album. It is an album with an expiry date though. Give it a spin though. As long as you don’t expect to go anywhere, it is an enjoyable ride.